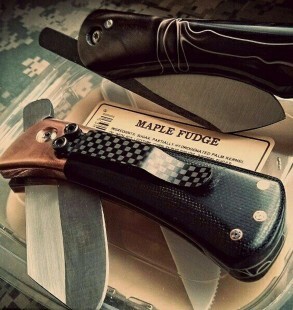 Knives By Mark | Quality custom knives made in the U.S.A.
My name is Mark Campana. 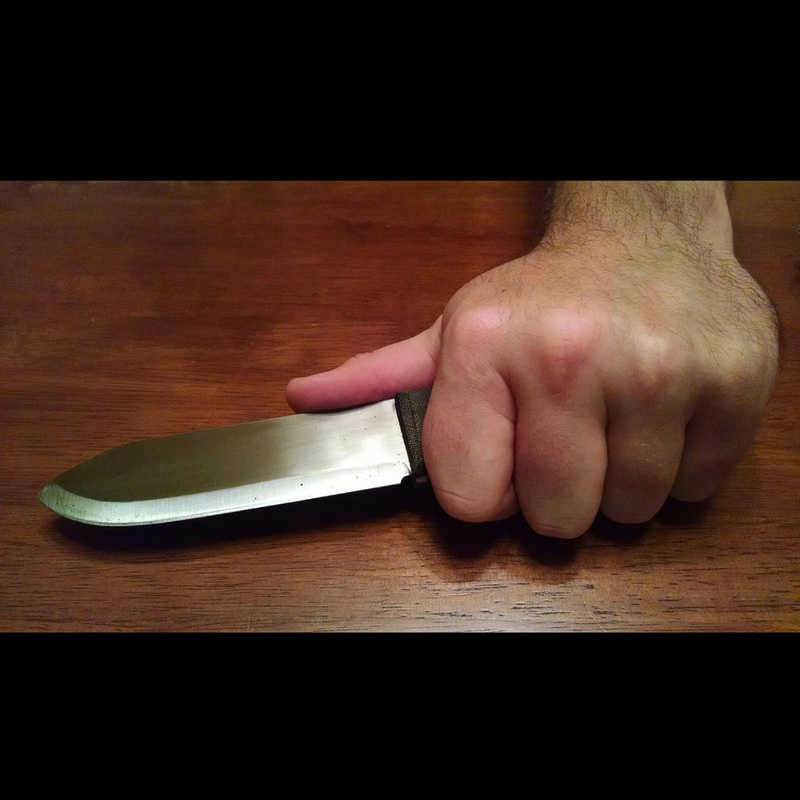 I'm a self taught knife maker from Akron Ohio. 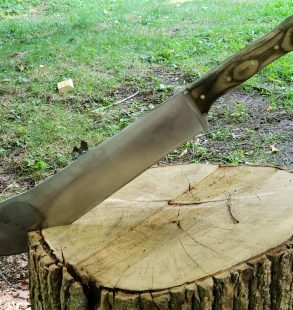 If you want something truly unique, hand made in the USA, and of a quality unparalleled to anything mass produced, my knives are for you. 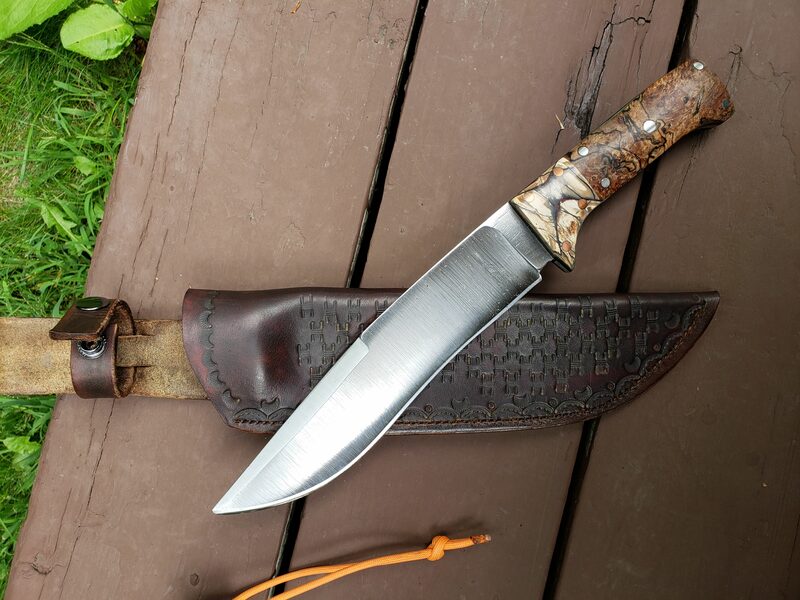 I use all different varieties of steel, from 8670 carbon steel, to damasteel, and damascus steel, hand forged by American blacksmiths. 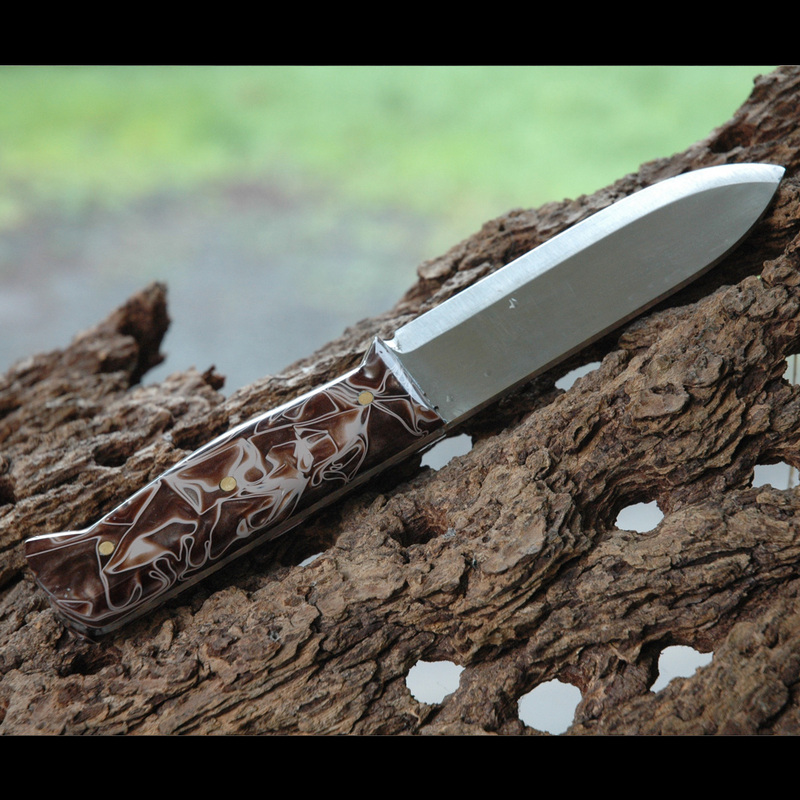 Handle materials vary from linen micarta, to exotic wood, mammoth tooth fossil, and anything else you could imagine. 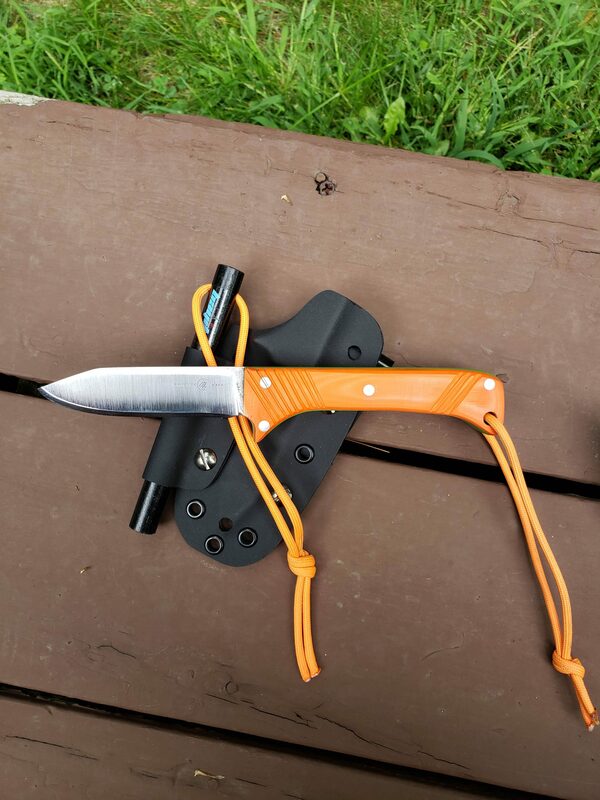 Right now my current production is in bushcraft, camping, hiking, edc (every day carry) fixed blade knives as well as friction folder knives for everyday carry and use. 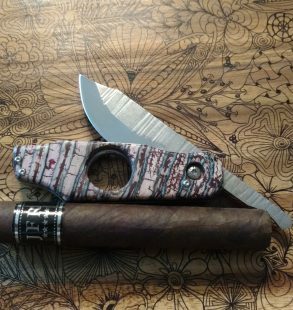 I also have been making some very unique cigar cutter friction folder knives. 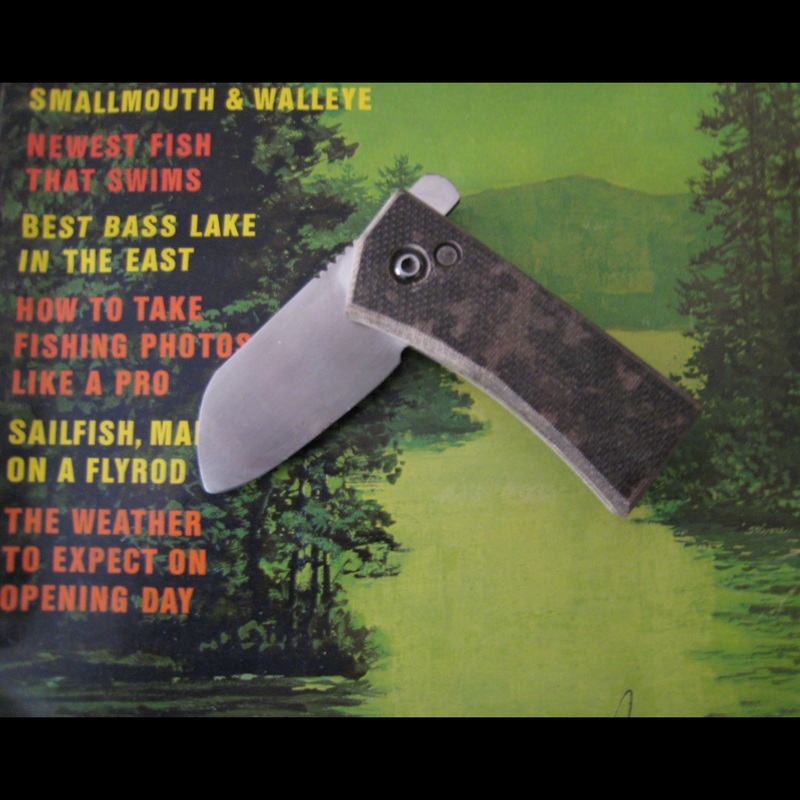 Kydex and leather sheaths are available for all of my fixed blade knives and folders, which I also make in my shop. Prices vary by material. 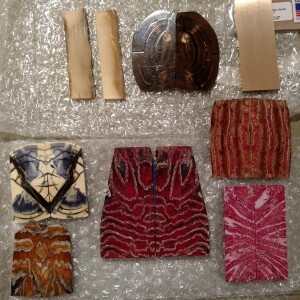 You can choose from very simple and inexpensive materials to exotic and costly materials. 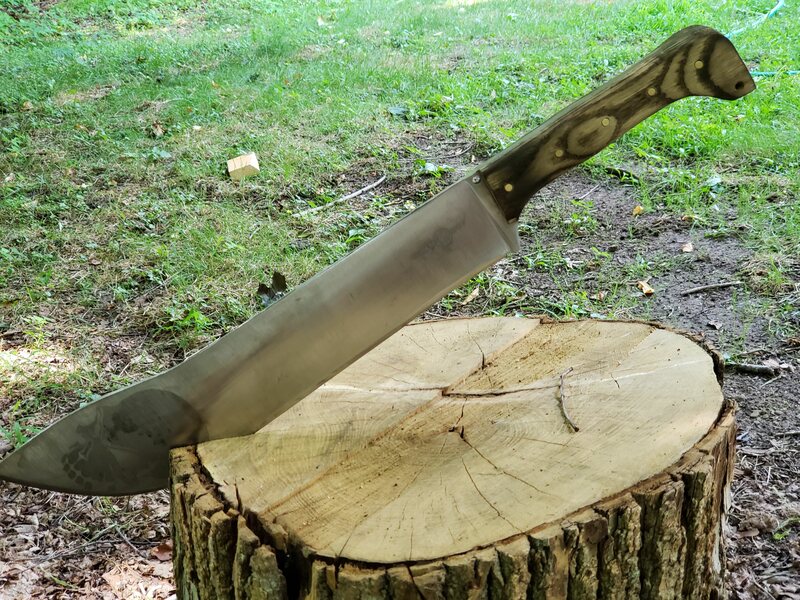 American made damascus steel, tool steel, san mai, and Damasteel are just some of the materials use for blade making. 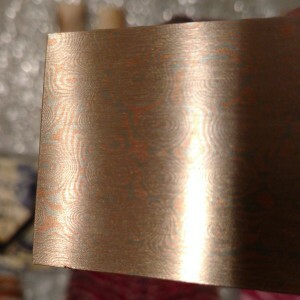 Mokume gane, layers of copper, nickle silver and brass. 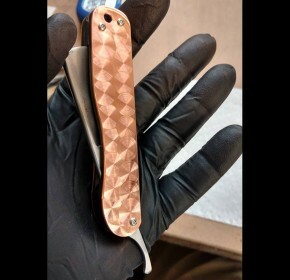 Stabilized wood, resin scales, natural micarta, layered g10. 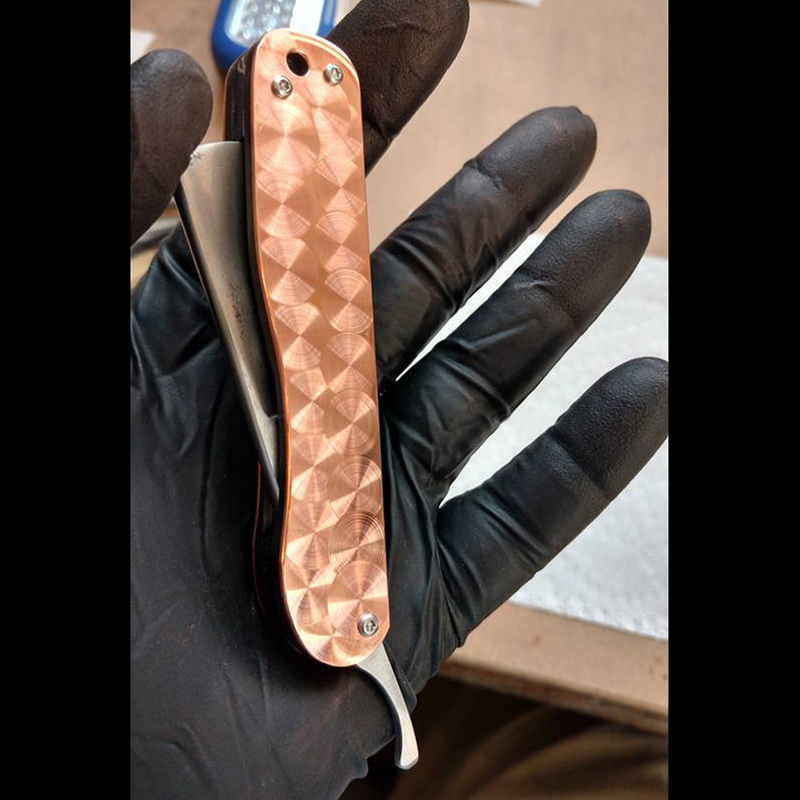 I design, cut, shape, grind, heat treat and sharpen all of my knives myself. Along with the method of stock removal using my KMG grinder, the workhorse of my shop. 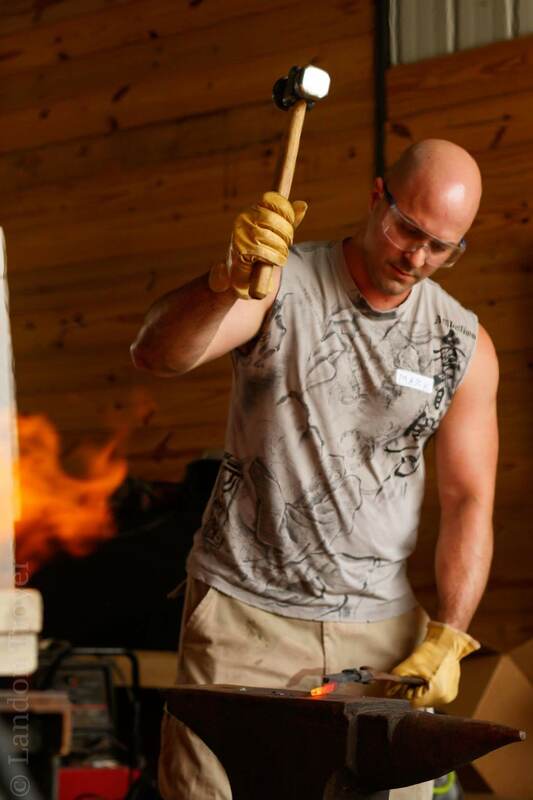 I also forge blades the old fashioned way with fire, sweat and steel. 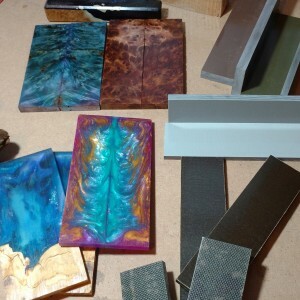 I use an Evenheat knife kiln for heat treating, i like to have control over all aspects of my blades production. In addition to my state of the art equipment, i had the privilege of inheriting quite a few hand tools and a big old workbench from my Grandpa Campana, who was a machinist. 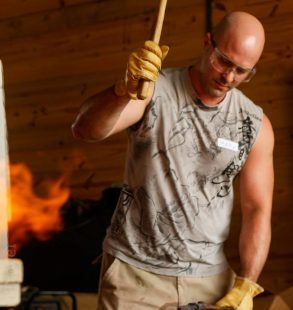 American made tools, used by my grandfather, are still creating today. 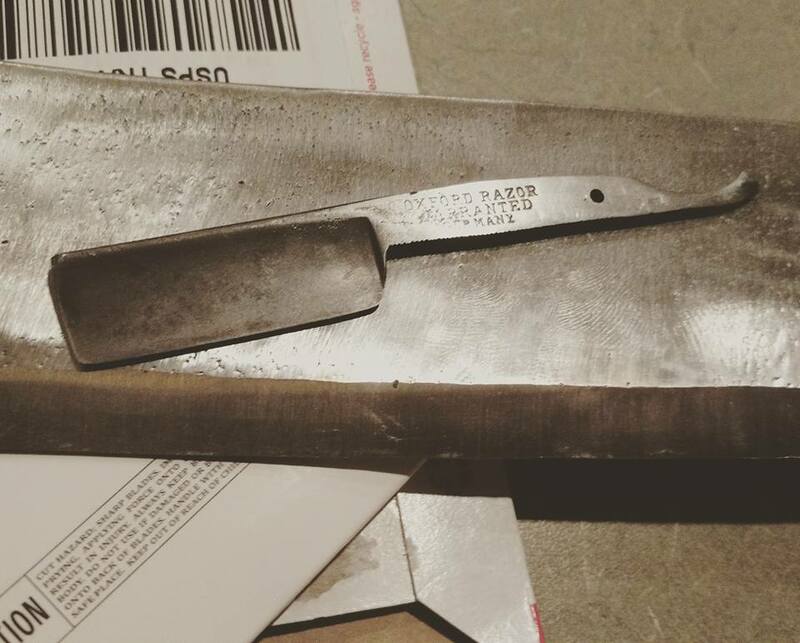 I have had requests to refurbish old knives, grandads old broken straight razor, and to sharpen an old ax. I take restoration very seriously and am honored to be asked to take on such projects. 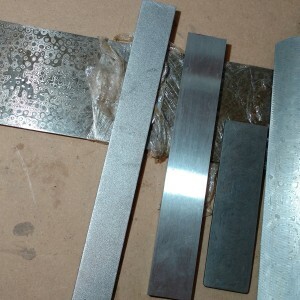 I go over all possibilities of what can go wrong with old and unknown steels. 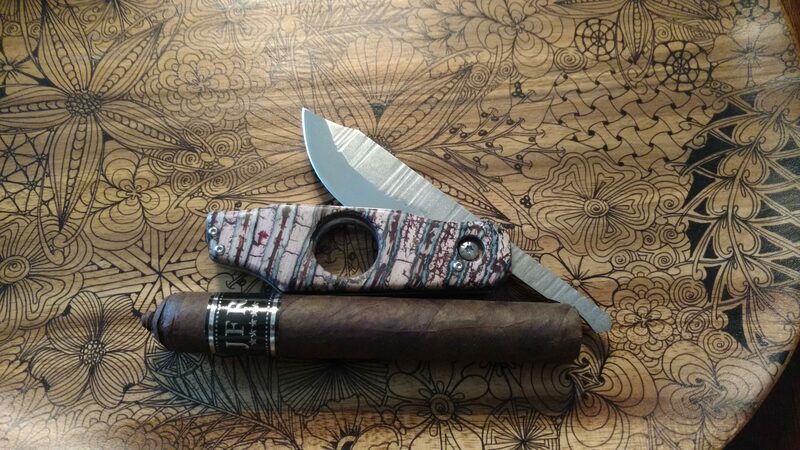 I do my very best to bring life back to an old blade. 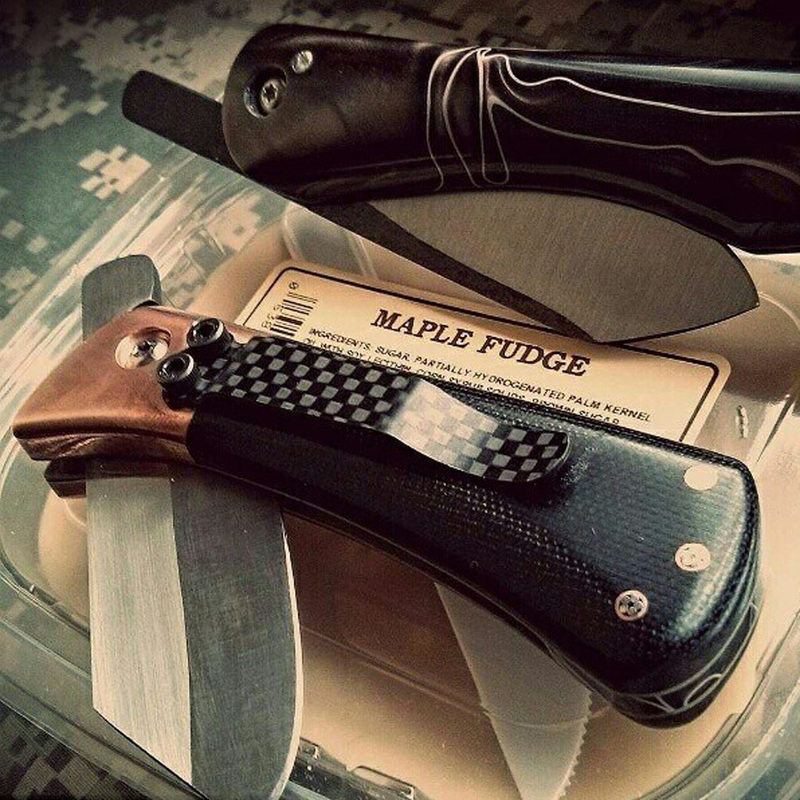 Hear from owners of Knives by Mark themselves. 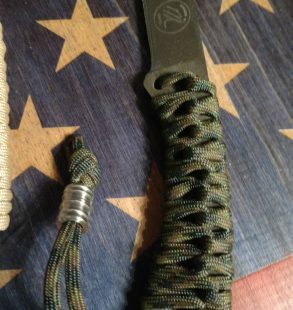 My journey into blade making started with a simple dog leash - that’s right, a dog leash! My American bulldog Tammy, in her younger years, would try to catch any small animal that crossed our path on our daily hikes. This resulted in many broken leashes. I got so tired of buying subpar products that I decided to make my own. 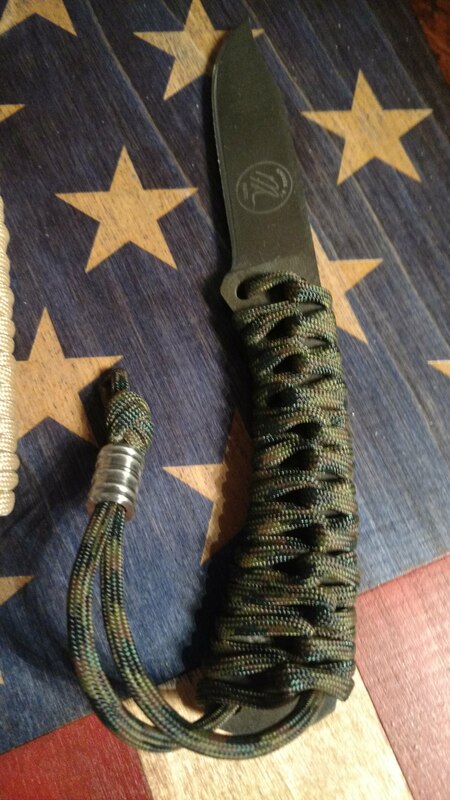 150 feet of paracord later, and about 12 hours of work, I had a leash that you could use to tow a truck with! I find that I always end up replacing store bought items that fail with my own creations. When I have control over every part of creating something, I end up with a far superior product when compared to something I could buy in a store or online. 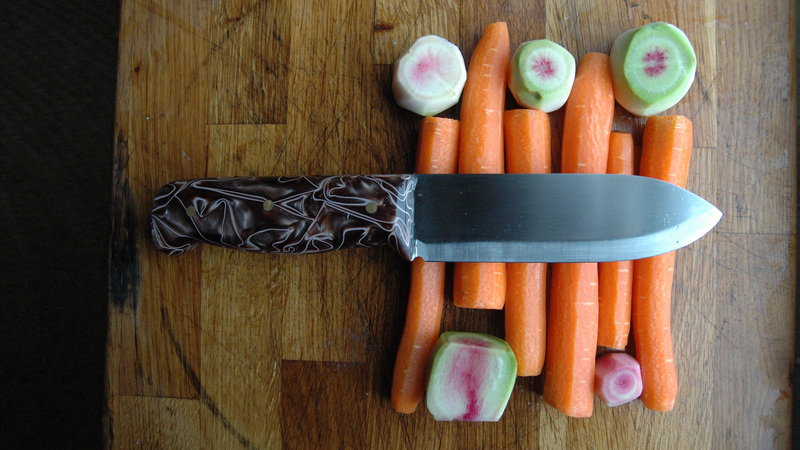 This is where the knife making started. 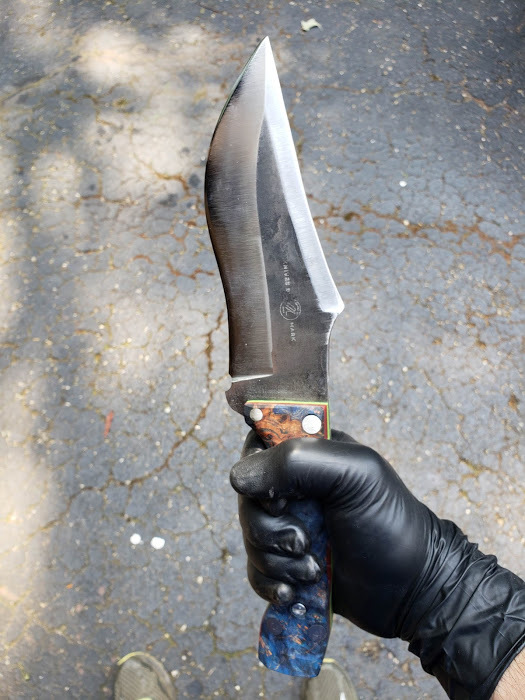 My father was talking to me about different knives he has bought over the years and how he couldn’t sharpen any of them without great effort, not to mention their edge holding capabilities were terrible to begin with. This also gave me an idea. 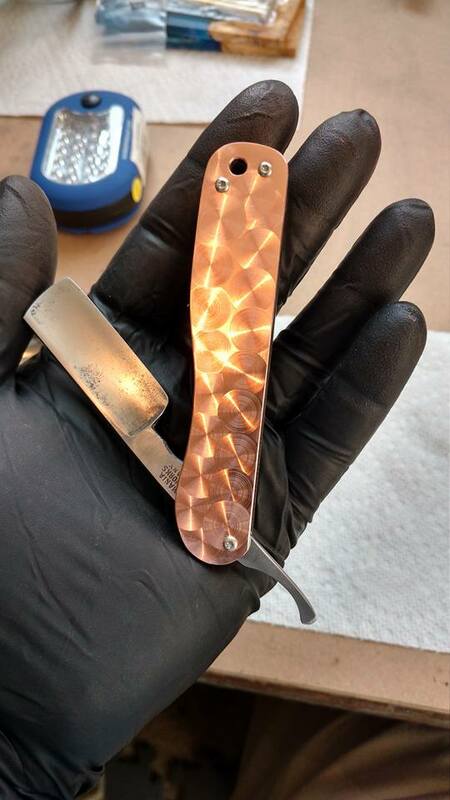 I set out to research knife making online, and went to work. 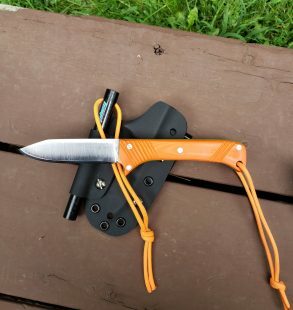 I ended up with 10 bushcraft knives and 3 folding knives. My father uses his folding knife every single day. He has even cut small branches from trees, and used it for cement patching a step into his and my mom’s home. 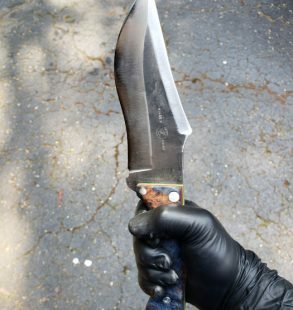 I’d never recommend using a knife on cement, but his blade has held up to the abuse! Now my father has his knife that he can sharpen and use daily, and my closest friends have a handmade gift they will never forget. 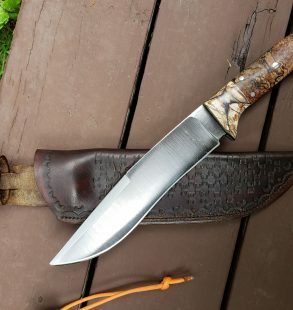 As for me, well, I found out that I loved making knives and it has become a passion of mine. Want to see what a KNIVES BY MARK blade can do in the right hands? Watch me compete on History Channel’s Knife Or Death, Season 2, Episode 2. It could still shave after all of this abuse…. Let me make a knife for you. Fill in your name and a description of what you're looking for. 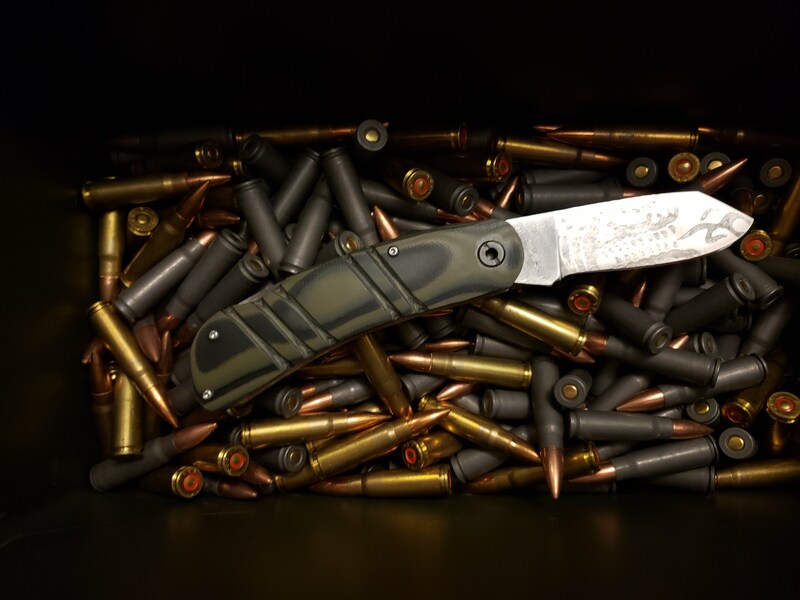 © 2019 Knives By Mark | Quality custom knives made in the U.S.A.